Joplin, Mo. — Missouri Southern senior third baseman Max Hogan has picked up his third All-American honor of the year as he picked up honors today from the American Baseball Coaches Association (ABCA). Hogan, a 5-11 senior from Belton, Texas, was a second-team selection. He adds to his already full plate of post season awards that includes the MIAA Player of the Year, first-team All-Region by the Baseball Writers, D2CCA and the Baseball Coaches, as well as All-American nods by the Baseball Writers Association, the D2 Conference Commissioners Association and now the ABCA. This season, Hogan led the MIAA in seven different offensive categories, including walks, home runs, on-base percentage, RBIs, slugging and total bases. Hogan ranked second nationally in walks, while also ranking seventh in on-base percentage, 12th in total bases, 14th in doubles and 15th in slugging. In total, Hogan ranked in the top 20 nationally in five different categories. He helped the Lions destroy the previous school record in home runs with 81 this year, breaking last year’s mark of 66. 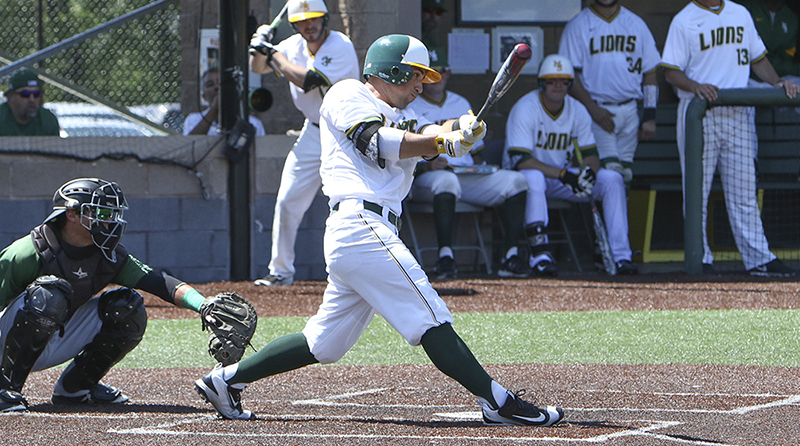 This season, Hogan led the Lions with a .390 average, 15 home runs, 20 doubles and 59 RBIs. He slugged .745, had a .528 on-base percentage and went 15-18 on the basepaths.